Oh Joy, Oh Rapture! It looks like I’ll be preoccupied with marking student assignments for the next couple of weeks. This, naturally, means less time for blogging. But before I snuggle up and hibernate with these assignments, I thought I’d do a quick blog post. Once again I’ll focus on a portion of Bruce Waller’s book Against Moral Responsibility. To be precise, I’ll focus on a portion of chapter 6 of the book, which discusses the distinction between taking responsibility and being morally responsible. In the chapter itself, Waller defends two important claims: (i) that if one takes responsibility for a particular outcome it does not follow that one is morally responsible for that outcome; and (ii) although we should encourage people to take responsibility for things, we will undermine this project if we conflate taking responsibility with being responsible. In this post, I’ll be focusing on the first of those claims, not on the second. I’ll break my discussion down into three sections. First, I’ll try to explain what it means to take responsibility for something. Second, I’ll try to show why some philosophers think the concept of taking responsibility is important. And third, I’ll present what I think is Waller’s argument for treating take-charge responsibility separately from moral responsibility, and pass some brief comments on it. One takes responsibility for a particular outcome, whenever one accepts the burden associated with achieving or preventing that outcome. To use one of Waller’s examples, suppose your work colleagues think that organising a conference would be a good idea. Suppose that you agree and say you will “take responsibility” for its organisation. What does this impy? Well, one thing it would seem to imply is that you are willing to do the required organisational work, and, further, that you accept accountability for the eventual success or failure of the conference. It would also imply a certain emotional connection with outcome. If you take responsibility for the conference you will tend to feel pride and satisfaction if it is successful, and disappointment if it is a failure: the outcome will become an important part of how you self-evaluate. Taking Responsibility An agent, S, takes responsibility for an outcome O, whenever they are: (a) willing to do the work required to achieving or prevent that outcome; (b) willing to be accountable for the success or failure of that outcome; and (c self-identify with that outcome. This is just my own rough formulation of the concept. I’m not entirely sure whether all three of the conditions (a-c) would need to be met before we would say that S had taken responsibility for O, or whether one or two conditions would be enough. I’ve also left out the idea that one must publicly declare that one has taken responsibility before the concept holds. Although the idea of a public declaration does feature in some discussions of taking responsibility, I’m not sure that it’s strictly necessary. Perhaps what is needed is a dispositional willingness to publicly declare if and when one is asked? If so, that might already be covered (implicitly) by the accountability condition. 2. Why Should we Care about Taking Responsibility? Anyway, enough of this philosophical hand-wringing. Why is the concept of taking responsibility so important? There are a number of reasons, but one of the main ones is that several philosophers — Waller mentions Harry Frankfurt, Daniel Dennett, and Robert Kane — have argued that it plays an important part in how we ascribe moral responsibility. Of the three mentioned, I’m most familiar with the work of Dennett. 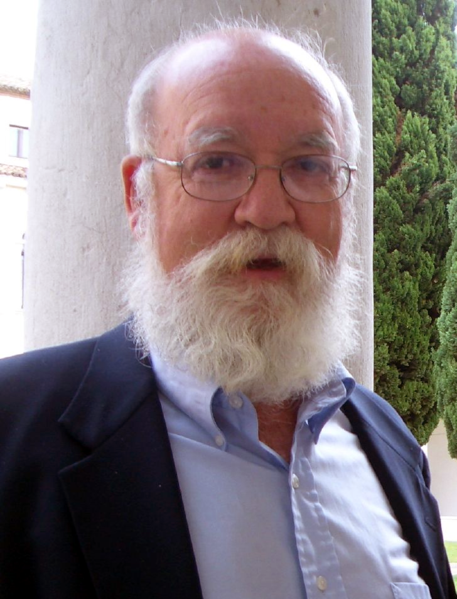 This is fortunate since Dennett is also the major focus of Waller’s energies. The Take-Charge Principle of Responsibility: If an agent S takes responsibility for an outcome O, then S is morally responsible for O.
Let’s take a moment here to reflect on the nature of this principle. It is clearly suggesting that there is an entailment relation between taking responsibility for something and moral responsibility for that same thing. But what kind of entailment is this? The answer, it seems, is that the entailment relation is one of sufficiency, but not one of necessity. In other words, while taking responsibility for an outcome will entail moral responsibility, other conditions might also entail moral responsibility. For example, if the agent is an uncaused causer of the outcome; or if the action is caused by the second-order reflective desires of the agent. As it happens, Dennett doesn’t accept these other conditions, but this is irrelevant. You may well ask: why would an agent take responsibility for an outcome, if in doing so they would open themselves up to moral reponsibility for that outcome? After all, moral responsibility includes blame and punishment, both of which are unpleasant. Why would anyone want this? One reason is that taking responsibility seems to bring with it certain psychological benefits. This is something Waller agrees with: he points to psychological studies showing that those who take responsibility are more likely to be satisfied at work and less likely to suffer from depression (I haven’t read the studies to which he refers so I can’t confirm). Indeed, Waller seems quite enthusiastic about taking responsibility for things. He just disagrees with Dennett that taking responsibility entails moral responsibility. Let’s see why. Conference Organisation: As agreed with your colleagues in advance, you have taken responsibility for the organisation of a conference on moral responsibility. You’ve booked the venue, invited the keynote speakers, they’ve agreed to come and transport has been arranged for each of them. Everything appears to be going well. Alas, on the actual day of the conference, tragedy strikes. A huge snowstorm arrives which prevents any of the invited speakers from arriving. The conference has to be cancelled. In this particular case, you have taken responsibility for the success or failure of the conference. Does it therefore follow, as Dennett might have us believe, that you are morally responsible for its ultimate failure? Waller thinks the answer is clearly “no”. The intervention of the snowstorm would seem to block any such inference. This seems to suggest that taking responsibility is not a sufficient condition for moral responsibility. Even when an agent has taken responsibility for an outcome, additional conditions will need to be met before that agent will be deemed morally responsible. (1) We are justified in accepting whichever moral conclusions are consistent with our intuitive judgments about particular cases. (2) Our intuitive judgment about the Conference Organisation case is that taking responsibility is not a sufficient condition of moral responsibility. (3) Therefore, taking responsibility is not a sufficient condition of moral responsibility (from 1 and 2). (4) The Take Charge Principle of Responsibility states that taking responsibility is a sufficient condition of moral responsibility. (5) Therefore, the Take Charge principle is false (from 4 and 5). Let me close with some brief reflections on this argument. While I think it is plausible, I think its plausibility trades on some questionable assumptions and ambiguities. As regards the questionable assumptions, while I am willing to assign intuitive judgments about particular cases some weight in assessing moral principles, I’m never quite sure how much weight I should assign to them. I guess this is something that plagues most moral philosophers. Perhaps I should look into it more closely but let me give me general feelings here: I feel like if I had some broadly agreeable moral principle (i.e. one that seemed to apply to a large tract of my moral life), and if that principle were consistent with my other beliefs but also entailed Dennett’s take charge principle, I would be reluctant to get rid of it because of one counterexample. As regards the ambiguities, I think that the intuitive belief that moral responsibility would be unjustified in the Conference Organisation case depends, to a large extent, on the implications of holding someone morally responsible. In other words, it depends on the precise liability conditions that attach to the morally responsible agents. We haven’t specified those conditions here. If our theory of punishment involves the infliction of severe harm, or if our theory is crucially dependent on the concept of moral desert, then Waller’s argument is plausible. But if our theory of punishment does not involve these things — for instance if it is based on restitution, not retribution — then I’m not entirely sure. Why is it attractive to accept responsibility even at the risk of meeting blame if the outcome is bad? Because it gives you a chance to exert influence, which is acknowledged to be one of the most coveted ingredients of a good life. The problem illustrated with the conference organisation example seems to rest on the tacit understanding that the responsibility taken and given is limitless. In practice this never happens. No one would ever blame an organizer for a sudden snow storm or the heart attack of a key speaker. You take responsiblity for all matters that are within your power to control, and your moral responsibility covers just that. This may seem as trivial objections to a principal discussion, but the point is that your taken responsibility is never limitless, and your moral responsibility follows suit.